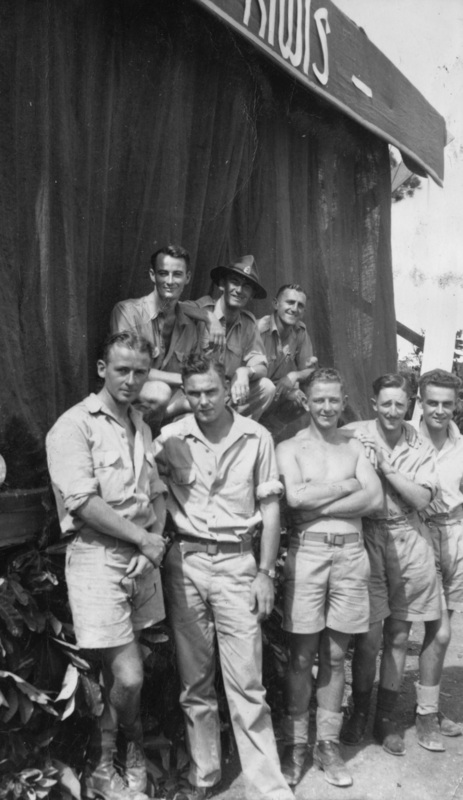 The Kiwi Concert Party may not be well known to younger New Zealanders, but during World War II they served an important role in entertaining the Allied troops in the Middle East and Italy, and later in the war in the Pacific. Focusing on the musicians in these troupes, this story explores the formation, travels and travails of the Middle East/European Kiwi Concert Party and of the later Pacific Kiwi Concert Party. The Second New Zealand Expeditionary Force [2NZEF] Entertainment Unit, commonly known as The Kiwi Concert Party, was officially formed in March 1941 but actually began in mid-October 1940. 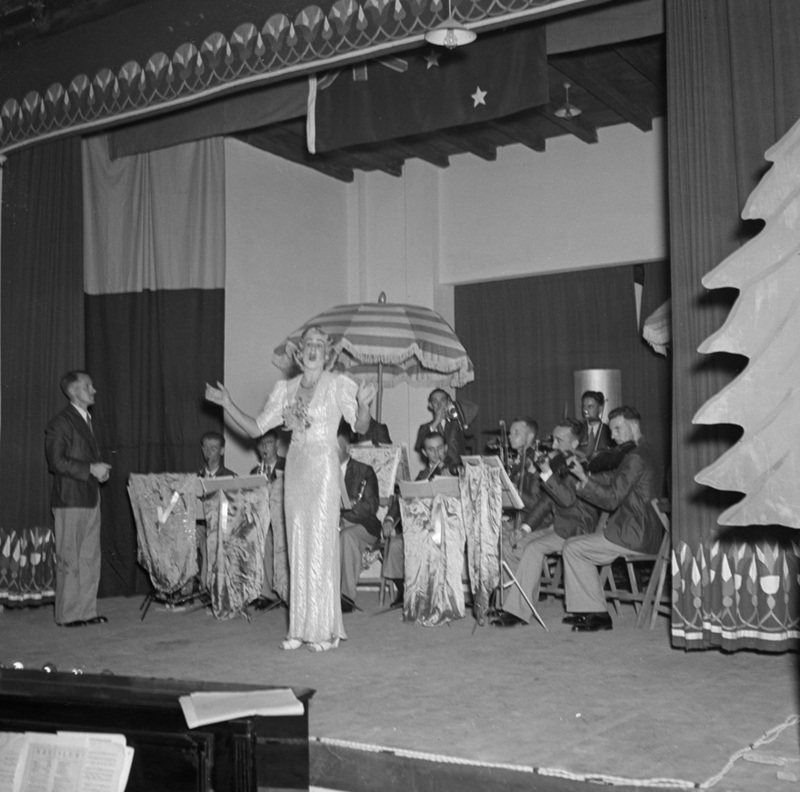 In his unpublished manuscript of The Kiwi Concert Party, singer Tony Rex recalled that he had been stationed in the Egyptian town of Maadi for about three weeks when he was approached by Sergeant-Major Tom Kirk-Burnnand to help put on a one hour show in the Maadi Tent (the allied soldiers' local recreational facility, described by Tony Rex as “an enormous circus-like marquee”), as the commander of 2NZEF, General Bernard Freyberg, was going to be there the following evening. With a hasty half-hour rehearsal the small group, consisting of singers Rex and Wally Prictor, Kirk-Burnnand on piano, Hughie Bolton on saxophone, and Keith Cohen on violin, performed for Freyberg and hundreds of servicemen to rapturous applause. At the end of the show Freyberg came backstage to congratulate the men, and told them that he had been thinking that the division needed a concert party, and now he was convinced. Freyberg placed Kirk-Burnnand in charge of the budding entertainment unit and gave him carte blanche within the division to find whomever he needed or wanted for the Concert Party. An entertainment unit or concert party took many forms among Allied troops, but for the most part it was a variety show format. 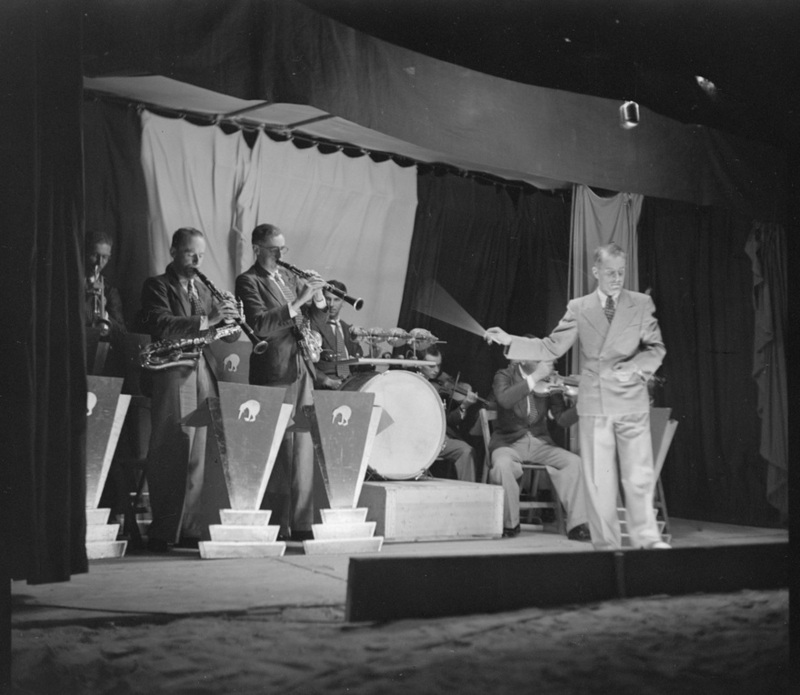 For some of the allied forces entertainment units, the focus was entirely on the on-stage entertainers, and the band was used only to support the acts on the stage. The Kiwi Concert Party differed from many other entertainment units in that its directors, Tom Kirk­-Burnnand, and later Terry Vaughan, integrated the band, as a whole, in sub-groups, and as soloists into the show format. In civilian life, Kirk-Burnnand had been a choirmaster and organist, and was also involved in broadcasting both as a performer and as a musical director. Early in the war he was the conductor for the Royal New Zealand Air Force Central Band, before being transferred to the Army. With such a varied musical and entertainment background, General Freyberg considered him ideally suited to forming and managing a concert party. Between November 1940 and February 1941 Kirk-Burnnand held auditions and sought out those entertainers he knew were in the ranks. While not yet officially formed, the developing entertainment unit was already entertaining at the various camps, service clubs and hospitals near the Egyptian region of Maadi, Cairo­ and Helwan. Their mission was to perform as close to the front lines as possible and to all allied troops, not just to New Zealanders. 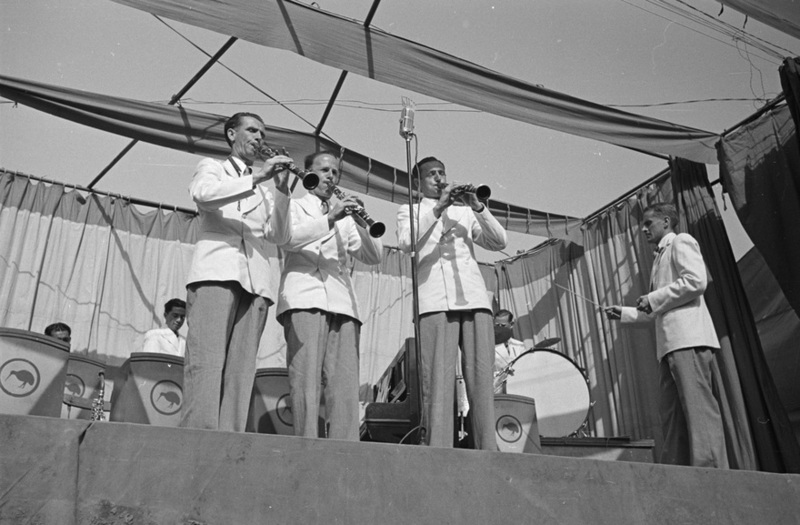 On March 1, 1941, the 2NZEF Entertainment Unit, soon to be known as The Kiwi Concert Party, was officially commissioned and began rehearsing for their official debut performance on May 1. Their mission was to perform as close to the front lines as possible and to all allied troops, not just to New Zealanders. This made them unique among the myriad concert parties, entertainment units and service organisation revues, as they had to be both a self-contained military unit and a concert party. Being so close to the front lines meant that they had to be competent and cohesive as an infantry unit, so about half of their rehearsal time was actually in combat training. The musicians of The Kiwi Concert Party band came from a wide variety of musical backgrounds, mostly classical and brass bands with the odd dance band/jazz musician thrown in. All were musicians of an extremely high standard, as both Kirk-Burnnand and Vaughan knew that they had to be able to perform new and often complex arrangements with very little rehearsal, and under adverse conditions. In the initial Concert Party configuration the band consisted of two violins (Cyril Pasco and Fred Mumme), a three-man reed section (Hughie Bolton, Dave Stafford, and Bill Taylor who doubled on trumpet), four trumpets (Bill Sharley, Lindsay Brown, Jack Moss and Tom Heads who also doubled on saxophone), piano (Terry Vaughan who was also the main arranger and deputy director), drums (Hector Bell) and accordion (Snow Wilson). Revue 1 was created as a variety sketch show in the vaudeville style with a mixture of drama, comedy, novelty items, and a range of music, from classical to jazz. The one thing that Kirk-Burnnand insisted on in creating the show, was that nothing remotely relating to military life or the war was depicted, including no uniforms on stage. He also emphasised a mix of ensemble work and solos for both the band and the stage talent. The arrangements that Terry Vaughan created for the band in the first revue were fairly conventional. As time went on he became more adventurous once he knew the abilities of the band members and what the audiences liked and did not like. 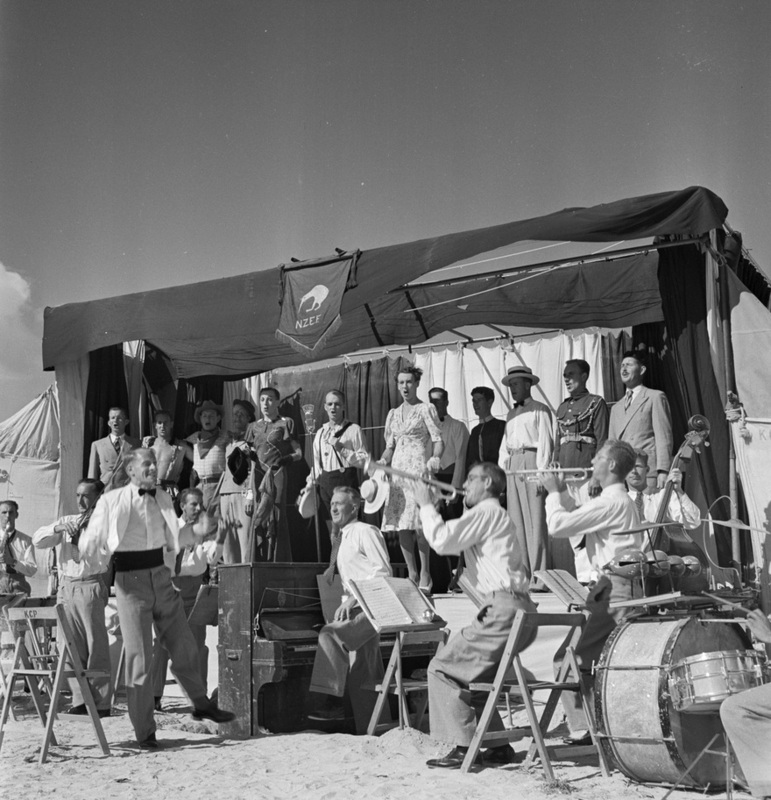 In early May 1941, The Kiwi Concert Party was sent to Crete to perform for the troops there. This was to be their first test entertaining under fire and as a combat unit. For four days they performed for the troops close to the frontlines, regularly under bombardment. On May 20 the invasion of Crete by the Germans began and The Concert Party took up arms as a combat unit for the first time. Over the next 11 days, the battle became a rout and then a forced march/evacuation for the Kiwis, who lost all of their costumes, instruments and other equipment. They also lost five members of the party to German capture including saxophonist/clarinettist Bill Taylor and piano accordionist Snow Wilson. 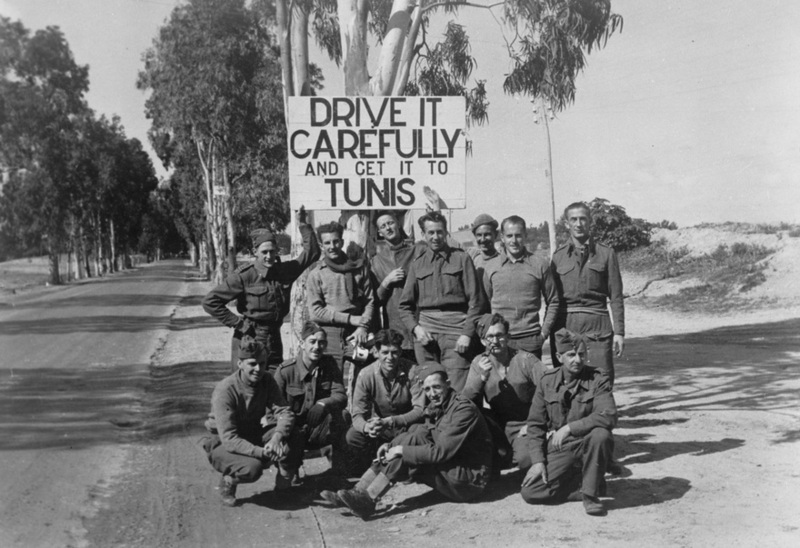 Once evacuated from Crete and returned to Egypt, they regrouped, re-equipped, gained new personnel, and began a routine of rehearsing, occasional combat, and performing three to five times a day on the frontlines around the Middle East and North Africa until they returned to New Zealand on furlough leave in June 1943. During this period there were several changes in show and personnel, including the loss of Kirk-Burnnand when he was invalided back to New Zealand in November 1941 with a severe eardrum injury. Kirk-Burnnand was replaced as leader by pianist-arranger Terry Vaughan, who had been Kirk-Burnnand's musical second in command. 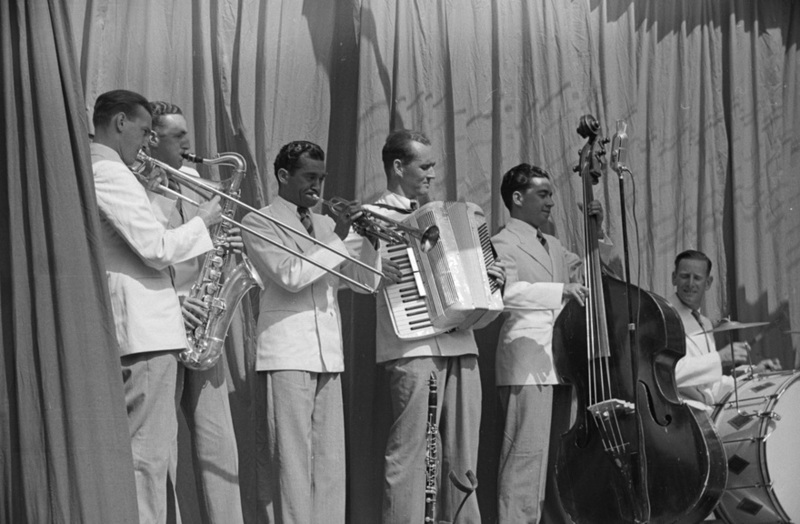 The band also changed personnel with violinist Fred Mumme and trumpeter Jack Moss returning to their parent units, but also gaining new members including violinists Frank Hoy, Max Roland, and Harvey Strang, John Reed on double bass (and also on stage as a singer and actor) Snowy Hall on accordion, and clarinettist Noel Habgood. They would play at least one jazz piece and one classical piece with the balance made up of popular and folk songs that would be more familiar to their audiences. The band always had a special spot in the revues at the beginning of the second half, which showcased them in different genres. Individuals and sections of the band also had their own spots to showcase their abilities. They would play at least one jazz piece and one classical piece with the balance made up of popular and folk songs that would be more familiar to their audiences. Both Tom Kirk-Burnnand and Terry Vaughan included New Zealand songs in the repertoire to give their New Zealand soldier audiences a taste of home. In 1942, The Concert Party acquired some new jazz charts, including Glenn Miller's hit ‘In the Mood’. In his memoir Tony Rex states, "Our woodwind section was bang on for this type of hot number with Brownie's modern trumpet playing improved out of sight, he could now really get 'with it'." Brownie was Lindsay Brown, a young jazz musician who had enlisted early in the war. Brown was also the unit’s reveille player, but, as befitting a Concert Party, it was never the standard reveille tune, more often ‘Start the Day Right’ or ‘Bugle Call Rag’. 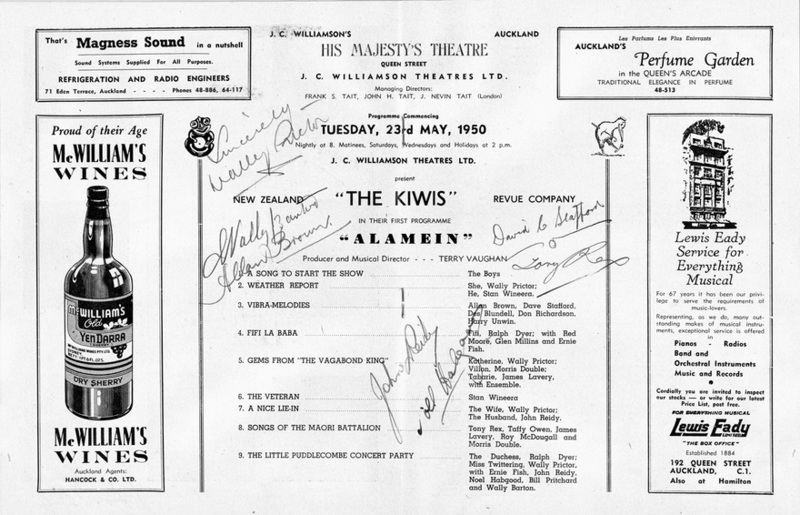 The main idea behind the wide range of repertoire for the shows was to give their audiences a taste of non-military life: as Terry Vaughan put it, "a taste of civvy-street.” This exclusion of military life from the Kiwi's shows was important to both Kirk-Burnnand and Vaughan and was a main point of difference between the Kiwis and other concert parties. Kirk-Burnnand and Vaughan wanted their audiences to be able to – if not forget about the war – then to be able to relax to entertainment that had no connection to their current day-to-day reality. When furlough leave was announced in 1943 it was only supposed to be for men who had served three years, which was the majority of The Concert Party. This created a problem as the Concert Party was supposed to continue touring and performing while the missing members were on leave. Vaughan approached General Freyberg about this issue, and he decided to send the whole Concert Party back to New Zealand on the condition that they spend part of their time touring New Zealand raising money for the National Patriotic Fund. The Kiwi Concert Party departed Egypt May 14, 1943 and arrived in Wellington July 12, 1943. 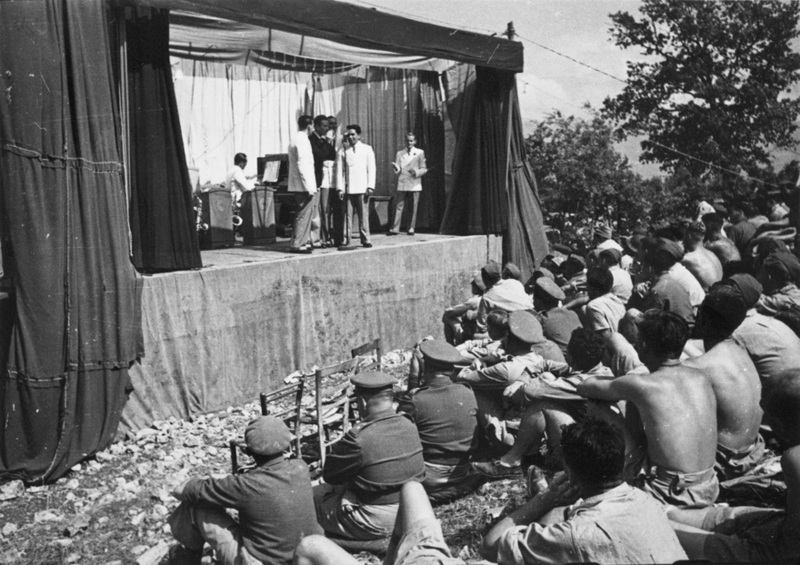 On arrival the Concert Party was informed by Colonel Bell of the Army Education Welfare Service that they were to spend two months touring, with only one month leave. This was contrary to what had been discussed in Egypt with General Freyberg. For the men who were fully entitled to the three months furlough, this was quite a blow, and they were indignant about it. Eventually a compromise of two months leave and a one-month tour was agreed upon. Although most of The Concert Party took a well-deserved leave, Vaughan discovered that several members would need to be replaced, as only “Grade 1 Men” would be returned to the theatre of war, and that those with pregnant wives would be allowed to stay home. In addition to this edict The Concert Party members all had to have medical examinations and some were downgraded to unfit for overseas service. This meant Vaughan had to spend most of his so-called leave recruiting and auditioning potential new members and refitting some of their equipment. 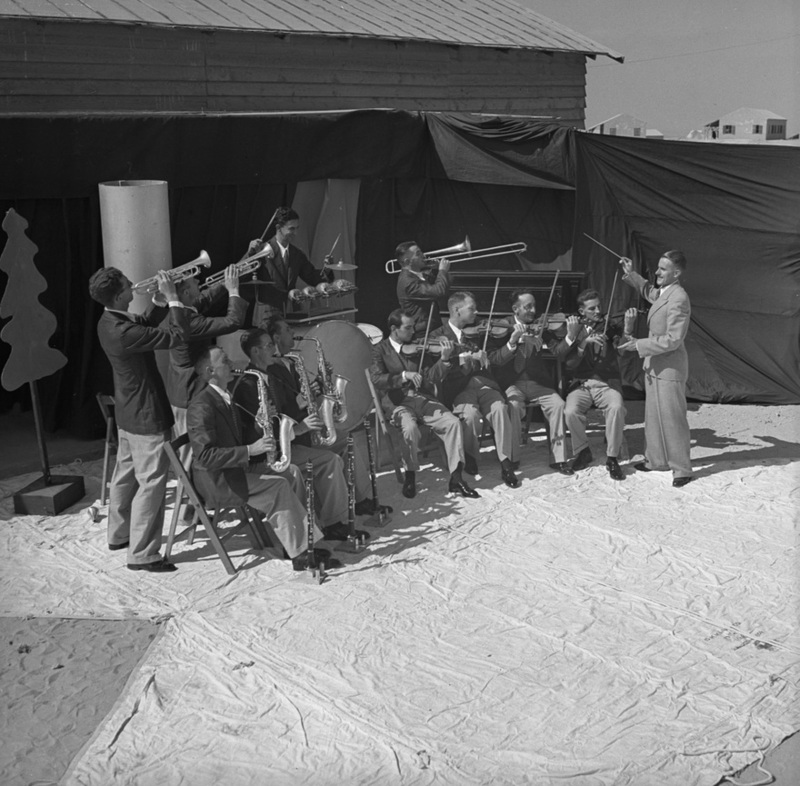 Between late July and mid­­-August 1943 Vaughan scoured the military camps, both Army and Air Force, for musicians and entertainers to fill the gaps that would be left by those who had to leave the troupe. Two of his finds were brothers Phil and George Campbell, on trumpet and bass respectively. 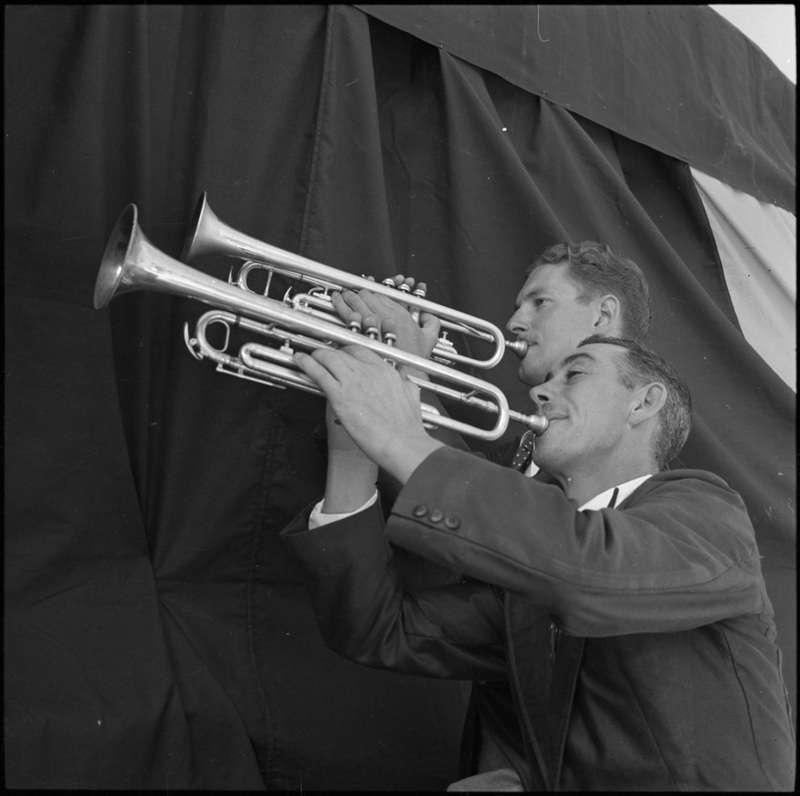 Originally from Paeroa, the Campbell brothers were two of the leading musicians of the New Zealand jazz scene before the war, and their younger brother Lew, on trumpet and piano, was an up-and-coming star. Lew was 19, and was not in the Army when his brothers were recruited for The Concert Party – but when he heard that they had joined he promptly enlisted in the Army. According to Tony Rex, Lew Campbell scrambled aboard their ship as they were about to sail back to the Middle East, after all of five days enlistment in the Army. Other jazz musicians Vaughan recruited included veteran Wellington jazz drummer/vibraphonist Allan Brown, whom he "shanghaied" from the Air Force, and who turned out to be a brilliant showman, with excellent instincts on how best to support the band or the act on stage. On the recommendation of the Campbell brothers, Vaughan "purloined" trombonist Des Blundell from the Trentham camp band. Vaughan also managed to hook celebrated violinist Maurice Clare (who before the war was deputy leader of the London Philharmonic under Sir Thomas Beecham). The new musicians and showmen (except Lew Campbell, who joined just before they returned to the Middle East) became part of the Concert Party for the tour of New Zealand, which helped them to get up to speed with how the troupe worked, and what sort of life they could expect (without being under fire). They rehearsed for one week and then made a whistle-stop tour of 16 towns between September 22 and October 22. The tour also served to test out new arrangements for the band, as the new band was of a considerably different composition than the original one. 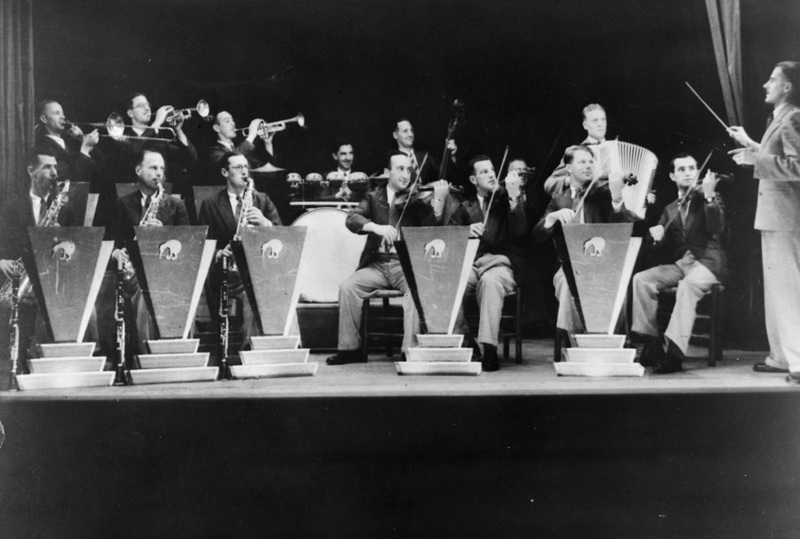 They had gained several more brass and woodwind players, making the balance quite different, and most of them were jazz musicians, which allowed Vaughan to attempt a different repertoire, and so the revue added more jazz to the mix. By the time the tour ended the new members of the troupe had found their niches and the Concert Party was working smoothly, in time for their return to Egypt. The Kiwi Concert Party arrived in Maadi in early April 1944, and spent six weeks trying to find where the Division had stored their equipment, re-equipping, and adding equipment. During this time Vaughan lost the entire violin section – the earlier members were all demobbed – and when Maurice Clare discovered this he unfortunately elected to remain with his infantry unit. So Vaughan added three more jazz musicians to the band, guitarist Allan Sundborn, trumpeter Charlie Bye and saxophonist Ces Day. Also added was baritone Ted Quill who did double duty as the resident flautist, and later vocalist Les Andrews and trumpeter Ivan Booth. By late May they were ready to head to their new base in Italy to perform for the troops fighting there. The Concert Party would spend the rest of war performing for allied troops and civilian audiences in Italy. The Concert Party would spend the rest of war performing for allied troops and civilian audiences in Italy. They were based in the southern Italian town of Bari for regrouping, as some of the new and returning members were to join the Concert Party there, and rehearsals of Revue Nine, which was a parody of the operatic format and clichés. With the addition of several jazz musicians to the band, more jazz was included in the show’s repertoire. 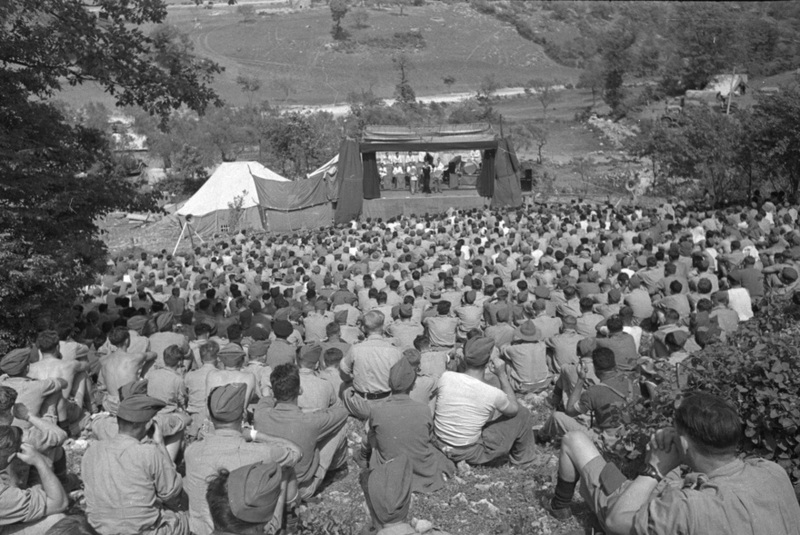 Once they had regrouped, The Concert Party made their way towards Monte Cassino, performing for troops that had recently finished two unsuccessful assaults on the town. They then played in Anzio, just north of Cassino for American troops who were very impressed that a concert party would come and perform for them so close to the front line (apparently the majority of United Service Organisation groups remained far behind the front lines). According to Rex, the troops were enthusiastic about the show and were particularly impressed by the quality of the band. Phil Campbell and Des Blundell were especially praised by the troops, some of whom told Rex that Campbell and Blundell could "stand along side any of their top-liners back in the States". They continued to tour up and down Italy at all the battle points before returning to their base at Bari to begin work on their 10th revue. In his memoir Vaughan discusses the difficulties of trying to create new material for The Concert Party because it had a variety of different talent bases. While he sourced many ideas from Expeditionary Forces Radio, some of the ideas came from the men themselves. Vaughan recalled one summer night when he heard someone playing Debussy's ‘Clair de Lune’, which then moved into "a jack-hammer boogie”. Vaughan was intrigued, he "hadn't known [pianist] Charlie Patterson played Debussy, and I didn't think our standby pianist, Pat Bell, could play such brilliant boogie-woogie. I got up. It was our third trumpet young Lew Campbell." The idea of integrating classical and jazz stuck and was worked into some of the band arrangements, creating showcases for individuals and small groups within the band. “Then it was up to the penthouse for an early dinner with some members of the Battalion. At 5pm spasmodic bombardment began and the shells seemed to be getting closer and closer ... Padre Huata rushed up … saying we'd better disperse ... Phil and I, accompanied by Mete Kingi [a friend of the Campbell brothers] of the 28th Battalion went into the dance room to be close to the fire place. “I was standing just behind the other two and happened to glance towards the door opening on to the outside stairs. In that split second I actually saw the shell land and woke up some minutes later on my knees, with my head and hands over Phil's body. Phil Campbell was the only Concert Party casualty of this attack (although the Maori Battalion lost 10 of their men), but it was a severe blow for the entire troupe. Although The Concert Party had lost men before (in the Crete invasion), it had been to enemy capture rather than killed due to enemy action. The old stage adage “the show must go on” became a grim reality for the Concert Party, and they continued to tour (including Phil Campbell's brothers), making adjustments to band arrangements as needed. Four weeks after the death of Phil Campbell, the Concert Party was split again when eight members including Hughie Bolton, Dave Stafford, Les Andrews, and Ivan Booth received their orders that they were to be released from service and repatriated back to New Zealand. The releases meant that a new revue had to be created to adjust for their losses. 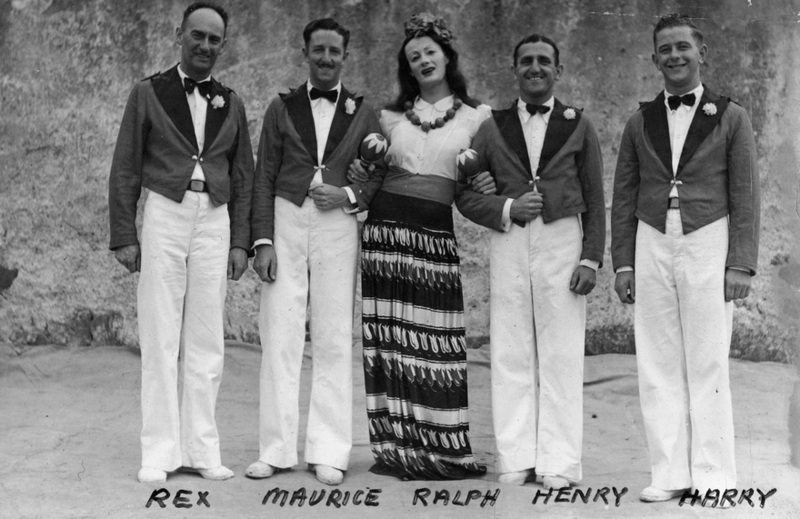 Revue 12 was to be The Kiwi Concert Party's last show, which they performed across Italy from March 1945 through to the end of the war, then through the repatriation into early 1946. Terry Vaughan (now a Captain) was released from service in late May leaving The Concert Party in the hands of his second in command, clarinettist Noel Habgood. 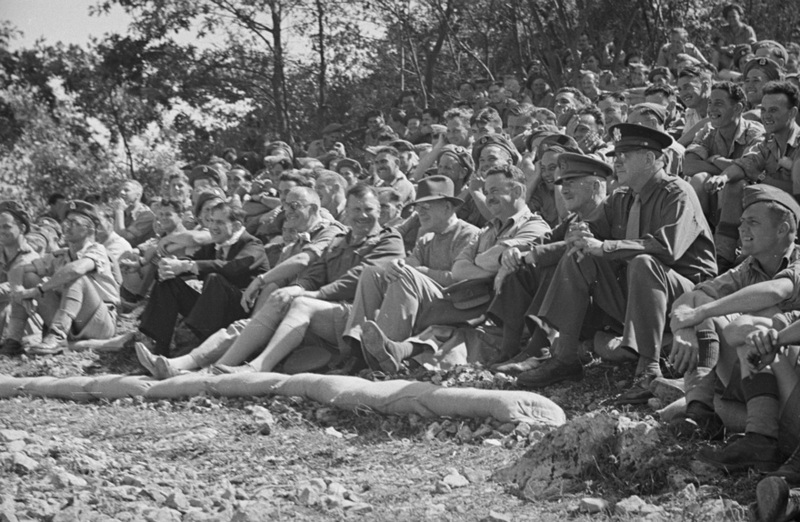 The last full-scale show was presented outside Siena November 6, 1945 – with The Kiwi Concert Party being officially disbanded in December 1945, although as musician/composer Ken Avery would recall, they would continue to entertain troops on their way back to New Zealand (including giving Avery his chance to finally play with them, but that is another story). Little is known about the 2NZEF 3rd Division Entertainment Unit, known as the Pacific Kiwi Concert Party, in comparison to the original 2NZEF Kiwi Concert Party. It was formed in 1943 with men from the 2NZEF 3rd Division who were serving in the Pacific under the leadership of radio personality Rex Sayers, and the musical directorship of renowned classical and dance band musician Oswald (Ossie or Ozzie) Cheesman. 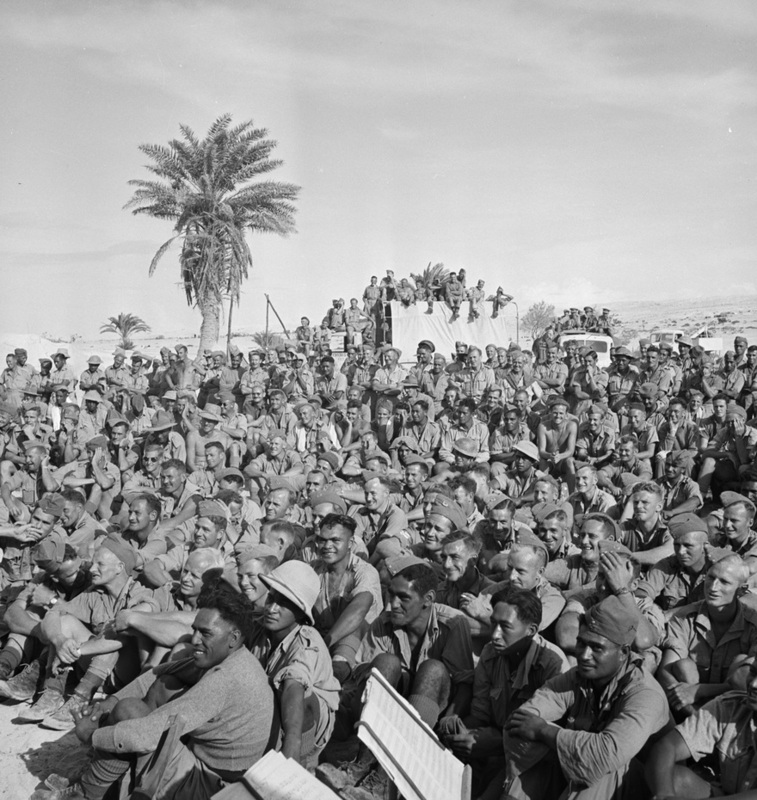 As with the original 2NZEF Concert Party, The Pacific Concert Party performed as close to the front lines as possible. Aside from their mission, this troupe bore little relation to The Kiwi Concert Party in the northern hemisphere. The Pacific Concert Party shows contained a broad range of music, including original compositions mostly by Cheesman. 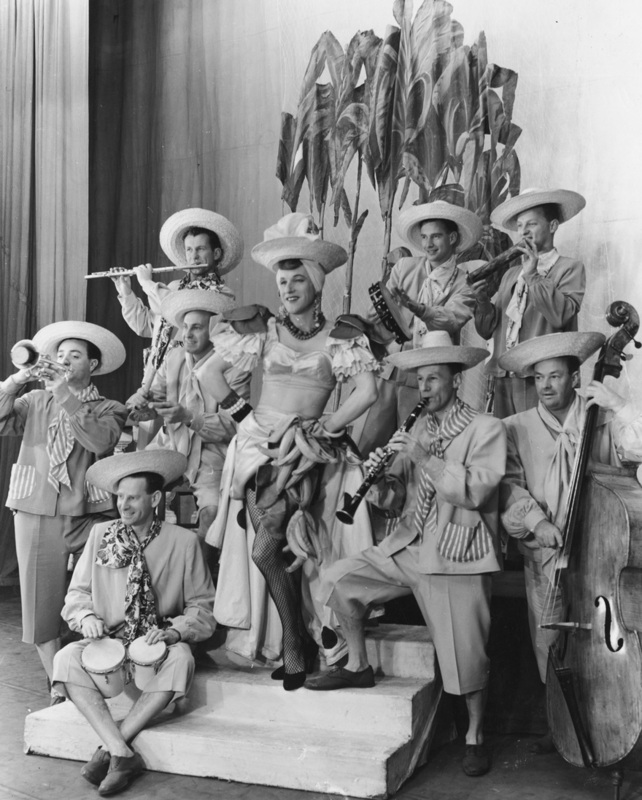 The Pacific Concert Party started out by using some of the original Kiwi Concert Party's material, but it appears that they rapidly developed an individual style separate from that of the northern hemisphere troupe, although they still based their shows in the variety show format. According to a report in the New Zealand Free Lance, The Pacific Concert Party shows contained a broad range of music, including original compositions mostly by Cheesman. In contrast to the northern hemisphere Concert Party however, Cheesman did include references to military life and the war in his repertoire. The size and personnel of The Pacific Party band is largely unknown. A programme from one of their shows, “On the Road” is held at the Auckland War Memorial Museum Library, however this programme only mentions soloists and featured artists. Aside from Cheesman (piano and piano accordion) – the other personnel listed are Cheesman’s frequent piano duet partner John McKenzie (piano), Harold Toomer (trumpet), Burns Dephoff (drums) and Henry Burns (banjolele). The Pacific Party performed throughout the Pacific until the end of the war. After the war they continued to tour in New Zealand under the banner of The New Zealand Kiwis, giving life to a post-war Kiwi Concert Party. In late 1945 J.C. Williamson Theatres Ltd made an offer to The New Zealand Kiwis to make a tour of Australia in mid-1946. Terry Vaughan was approached to take over directorship of this touring party and he acquiesced on the condition that he would have full hire-and-fire powers. Vaughan selected the best musicians from both Concert Party groups to form a big band (reeds, trumpets, trombones and rhythm section – no string section, but two musicians who doubled on violin) and under the name of the New Zealand Kiwis embarked to Brisbane in early April 1946 after a two-week warm-up season at His Majesty’s Theatre in Auckland. Over three million people in New Zealand and Australia had seen the Kiwis perform since the end of the war. What was supposed to be a three-month tour of Australia became rapidly turned into extended seasons in each town. In Melbourne their first programme, which was supposed to run for a week, ran for eight months! The result of this unexpected popularity was that The New Zealand Kiwis would tour Australia with sell-out return tours to New Zealand for the next eight years. When the curtain came down on the last show at His Majesty’s Theatre, Auckland on January 16, 1954, it is estimated that over three million people in New Zealand and Australia had seen the Kiwis perform since the end of the war. As time went on there was a natural turnover in personnel that brought in younger musicians to perform alongside the wartime veterans. These younger musicians included some who would later become household names such as reeds-men Don Richardson and John Williams. There was also a change in directorship: Terry Vaughan left the Kiwis in 1950 when they returned to New Zealand for a tour, to be replaced by Tom Kirk-Burnnand, the original Kiwi Concert Party director. The post-war tours of The New Zealand Kiwis and the resultant success were an incredible achievement. Rarely have any other New Zealand bands or entertainment troupes toured Australia and New Zealand to such acclaim for such a long period of time. These tours make The Kiwi Concert Party one of the New Zealand entertainment industry’s greatest success stories. For more on the Kiwi Concert Party, AudioCulture recommends Chris Bourke's extraordinary Blue Smoke - The Dawn Of New Zealand Popular Music 1918-1964 pp.138-149 (Auckland University Press, 2010).